HOWE, ALEXANDER, army officer, politician, judge, and office holder; b. 19 Dec. 1749 in Annapolis Royal, N.S., son of Edward How* and Marie-Madeleine Winniett; m. first 14 May 1778 his cousin Helen McKellar Bontein in Gravesend, England, and they had ten children; m. secondly 6 Sept. 1803, in Annapolis Royal, Margaret Ann Green, granddaughter of Benjamin Green*; d. 9 Jan. 1813 in Dartmouth, N.S. Finances and patronage were predominant themes in Alexander Howe’s life. His mother, widowed when he was less than a year old, used a small pension and influential family connections to provide military careers for her four sons. Howe claimed that he began his military career as a volunteer under Lieutenant-Colonel William Amherst during the Newfoundland expedition of 1762 [see Charles-Henri-Louis d’ Arsac* de Ternay]. On 24 July 1767 he was gazetted an ensign in the 36th Foot by purchase; a lieutenancy followed on 31 Jan. 1771. After service in Jamaica, England, and Ireland, Howe was commissioned captain of his own independent company on 13 April 1781. This risky financial venture proved unsuccessful (it was expensive to establish, and the winding down of hostilities caused problems), and in 1782 the company was incorporated into the 104th Foot. Although Howe consistently supported the stand of the pre-loyalist assembly reactionaries in such matters as the impeachment of Supreme Court judges James Brenton and Isaac Deschamps, he evidently enjoyed the ultimate support of his electors, for he retained an Annapolis County seat until 1799. 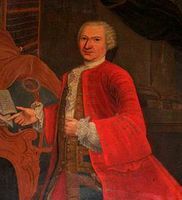 On 20 Nov. 1785 he was appointed a justice of the peace and a judge of the Inferior Court of Common Pleas for Annapolis County, and on 11 March 1788 he was also named collector of impost and excise duties for the county. In 1791 Lieutenant Governor John Parr*, intending to provide Howe with “a little employment, and . . . a little Cash,” appointed him to recruit the Annapolis County blacks wishing to emigrate to Sierra Leone [see Thomas Peters*]. Although Parr did not encourage the scheme, Howe tackled the job zealously, noting that “(however much I stand in need of Cash) I had much rather have . . . approbation than any pecuniary reward.” He later claimed to have sent to Halifax one-third of the blacks who emigrated and to have undertaken several perilous journeys in his work. In 1793 Lieutenant Governor John Wentworth commissioned Howe captain of a company in the newly raised Royal Nova Scotia Regiment. 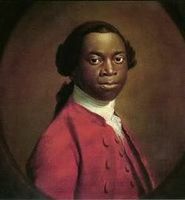 In July 1797 Howe was appointed superintendent of the fractious Jamaican maroons quartered at Preston, near Dartmouth. Although he was a capable administrator as a result of his previous experience in Jamaica and Nova Scotia, Howe viewed these blacks as a source of cheap local labour, and failed to comprehend their confusion over the climate and their isolated situation. He was also, inevitably, drawn into the intrigue surrounding Wentworth’s handling of the situation; his efforts to supervise the maroons were continually undermined by persons attempting to discredit the lieutenant governor. On 9 July 1798 he was replaced by the more forceful Theophilus Chamberlain*. Howe’s friendly relations with Edward Augustus, Duke of Kent, secured him an appointment in 1802 as assistant commissary and storekeeper in Prince Edward Island; his regiment disbanded the same year. He was also named to the Council that year by Lieutenant Governor Edmund Fanning and on 13 Dec. 1806 became a justice of the peace, but family tragedy (two of his sons died in 1804 after eating poisonous berries), financial difficulties, and isolation plagued Howe on the “forlorn Isle.” The final blow came on 25 Aug. 1811 when he was relieved of his position as commissary and placed on half pay. PANS, MG 1, 472–74A; RG 5, E, 1. PRO, CO 217/68, Wentworth to Portland, 12 Aug. 1797; 217/69, Wentworth to Portland, 23 June 1798. Nova Scotia Royal Gazette (Halifax), 13 Jan. 1813. Calnek, Hist. of Annapolis (Savary). J. [M.] Ross, “Jacob Bailey: portrait of an Anglican clergyman in eighteenth century Nova Scotia” (essay, Dalhousie Univ., Halifax, 1972). J. W. St G. Walker, The black loyalists: the search for a promised land in Nova Scotia and Sierra Leone, 1783–1870 (London, 1976). Margaret Ells, “Nova Scotian ‘Sparks of liberty,’” Dalhousie Rev., 16 (1936–37): 475–92. Lois K. Kernaghan, “HOWE, ALEXANDER,” in Dictionary of Canadian Biography, vol. 5, University of Toronto/Université Laval, 2003–, accessed April 24, 2019, http://www.biographi.ca/en/bio/howe_alexander_5E.html.